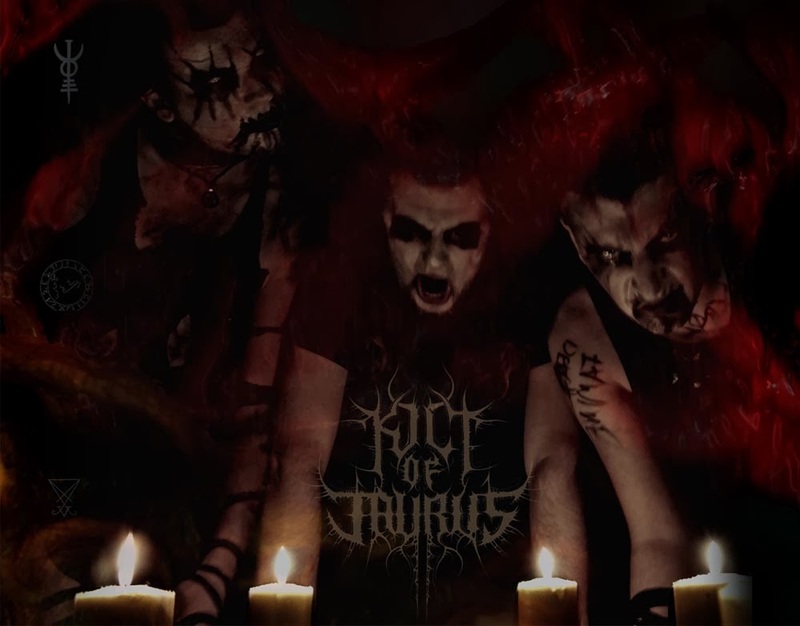 Kult of Taurus crawled out of the darkest corner of Greece in 2007, hellbent on releasing the fury of Satan and his army of demons onto the listeners of black metal. After releasing a demo, EP and a split the band have summoned enough cult force to unfurl their debut full-length album, Divination Labyrinths, via Forever Plagued Records. Does the mighty astrological bull have devout followers who will embroider his name with honor, or will he smite those who've caused him scorn? Divination Labyrinths is truly an album that reeks of occult status, the blackened pus of obscurity drips from every grimy corner of this experimental material. It is if Hell itself conjured up this record and released it only after every musically inclined fallen angel put their two cents in. The content here is coated in esoteric industrial noises, whether upfront or layered into the background; it is constantly there... somewhere, lurking. Each track is full of mystery, taking on a weird and unexpected turn every minute that the listener delves deeper into the layers of Hades. Each song is made up of interesting, textured compositions that vary little in tempo but use various instrument techniques to cause pandemonium. The guitar, distorted mostly in the typical black nature style with quite a bit of treble, creates pulses with nearly every technique imaginable; power chords, tremolo picking and galloping riffs. The main embodiment of the material for the guitar, however, is the bizarre diminished picking. The melodies are generally dissonant, rarely harmonious, and this causes a sense of discomfort in the listener as they are dragged further into the fiery pits the music creates. There are multitudes of sounds all at once, but the second one that jumps out at the audience are the drums. It's easy to tell that the kit is light, however drummer Prometheus is applauded for rarely sticking to one beat for any noticeable duration of time. 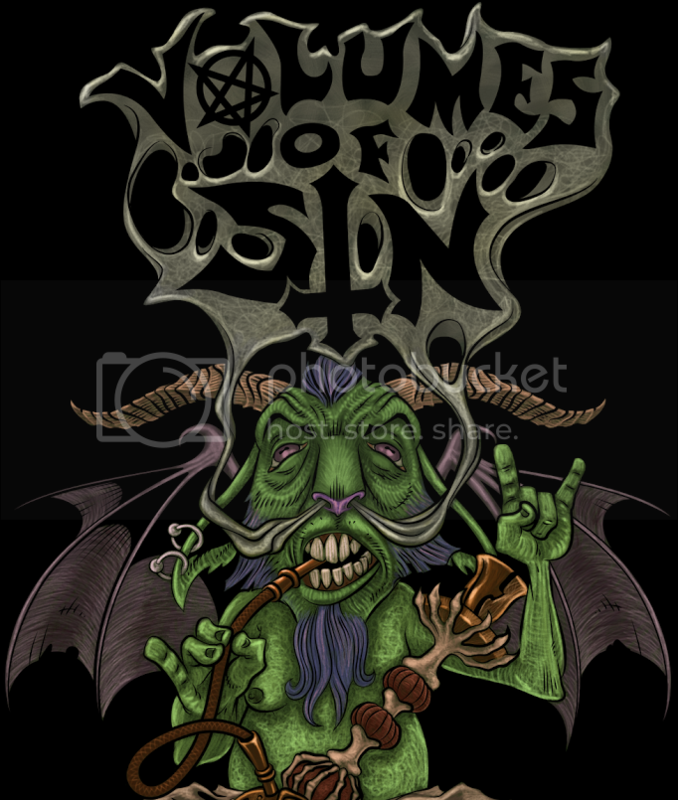 There are blast beats of every kind, cryptic cadency, tom-tom heavy rolls and more to be heard on each play through. The vocals are fogged over with echo, and are powerful yet shrill. The misery-ridden growls give a lot of emotion to the material, although in the long term the vocals themselves need a little improvement as anything but the growling comes off slightly weak for the rest of the content that surrounds them. The further one gets into Divination Labyrinths, the more ghastly the content becomes, especially in "ΠΤΩΣΗ". The album ends appropriately with an unexpected piano solo and cult chanting before abruptly ending. The album is clearly a vision brought to life in an extremely occult, obscure fashion; little has ever been produced like it previously. 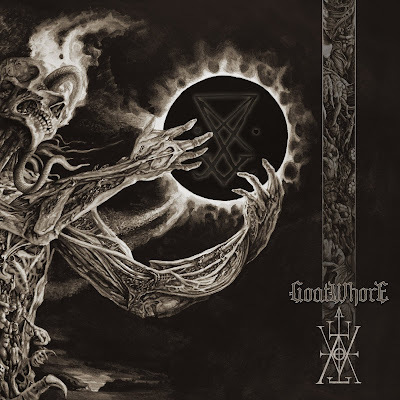 An industrial black metal experiment, this album has pressed past the boundaries that recent endeavors of its genre have stuck to for so long. A must hear for fans of black metal.